react in a situation and it all stems from how our mind has been trained. As a professional executive coach certified in Neuro Linguistic Programming and Transactional Analysis, Vishal Jacob, in writing his debut book, ‘Connecting with Yourself-– Why we think, feel and act the way we do’,has leaned on various studies in the fields of neuroscience and psychology to focus on key elements that make us who we are. Born in Mapusa and living in Duler, Vishal’s parents were teachers who made it very clear that his future depended on his proficiency in maths and science. 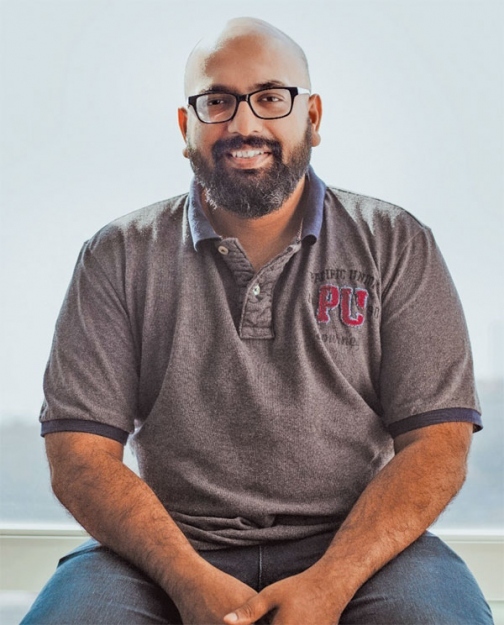 He pursued Mass Communications for his master’s degree and went on to become the Vice President of Digital Marketing at Wavmaker India, one of India’s top media and marketing agencies. “As a child, my parents used to have long conversations with my school principal. The three of them were friends, all working in the field of education, though at different schools. The conversations often turned to philosophy, spirituality and life in general. I used to hide behind the balcony door and listen to these conversations. Some of these talks had a lasting impact on me, especially on the way I looked at life. When I joined Maxus (now Wavemaker), I had a wonderful boss who gave me complete freedom and helped me blossom into who I am today. When he elevated me to a national role, I had to deal with challenges in all the three offices in India. I found that most issues were people related,” says Vishal on what made him write the book. The real challenge for Vishal was to put together all that he had learnt over the years and also present it in a relatable and interesting manner. His reading and gathering of information took about four years and another year and a half went into shaping those ideas into a book. Every chapter of the book begins with an anecdote from his life, which helps in making the concept easier to understand. “A dry handling of the subject mentioning all the theories would make this book purely a scientific primer – a repository of all the research done by people over decades. It would not be able to serve my main purpose of encouraging the reader to reflect on each of his/her own behaviours pertaining to habits, decisions, biases, willpower, stress, happiness, etc – the main chapters in my book. I thought the best way to make things relatable would be by sharing a personal incident before explaining a scientific theory,” he says. Despite the seriousness of the topic, Vishal has made a conscious effort to keep the book simple and applicable to everyone. “I believe this book will tend to be more appealing to young and middle level working professionals or to students as these groups are in the crux of trying to find their standing in the world. My belief has always been to approach everything by first being in tune with one self. I have provided key takeaway pointers that summarise each chapter in a single page. These are mainly aimed at young readers who may prefer light reading,” explains Vishal. The book can be purchased online on Amazon, Flipkart, Infibeam, Kindle, Google Play and iBooks. It will also be available in stores within a few weeks.